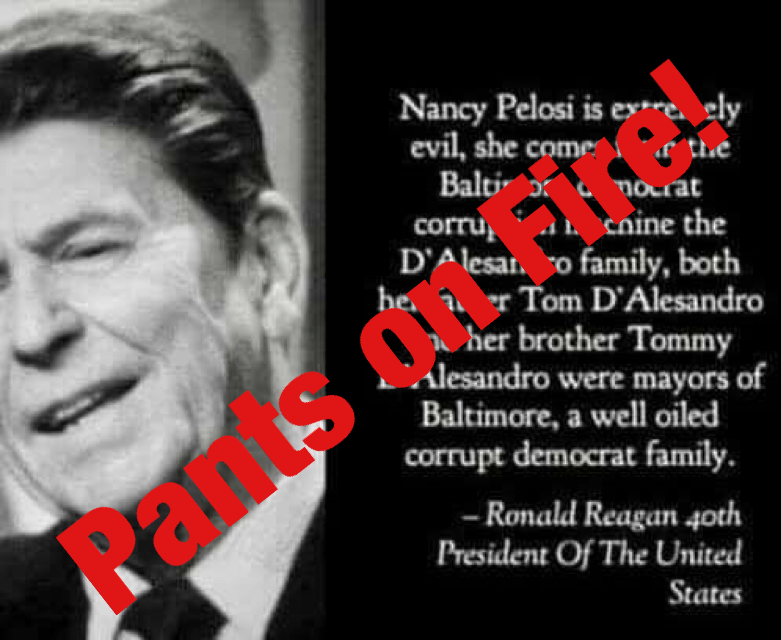 Says Ronald Reagan said, "Nancy Pelosi is extremely evil." By Ciara O'Rourke on Friday, February 1st, 2019 at 11:19 a.m.
A Facebook post wrongly claimed that former president Ronal Reagan called U.S. House Speaker Nancy Pelosi evil. Did Ronald Reagan call Nancy Pelosi "extremely evil"? That’s what some Pelosi critics are saying on Facebook. But it’s not true. "Nancy Pelosi is extremely evil," a Facebook post from Jan. 26 quotes Ronald Reagan as saying. "She comes from the Baltimore democrat corruption machine the D’Alesandro family, both her father Tom D’Alesandro and her brother Tommy D’Alesandro were mayors of Baltimore, a well oiled corrupt democrat family." Pelosi was born in Baltimore in March 1940 to Thomas D’Alesandro, Jr., who was the mayor of that city from May 1947 to May 1959. Her brother also served a term as mayor. Those are confirmable facts. But we couldn’t find any evidence that Reagan called Pelosi evil, or denounced her family as corrupt. That’s because it doesn’t exist, according to the Ronald Reagan Presidential Foundation and Institute. 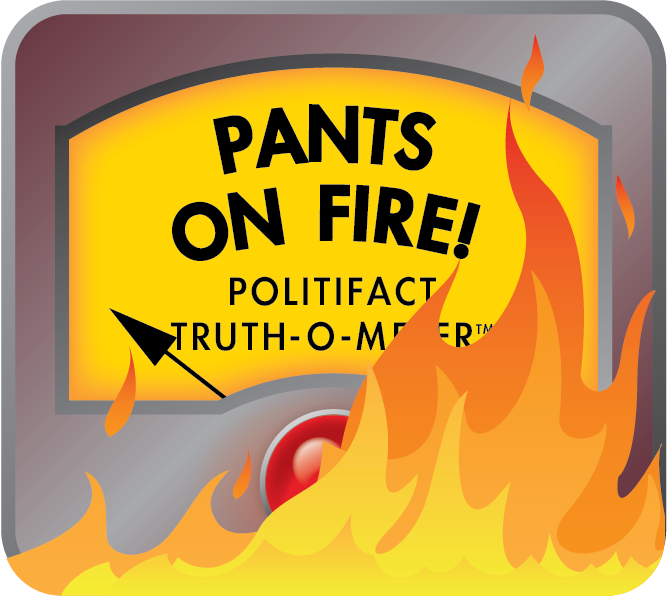 Joanne Drake, chief administrative officer for the organization, said she could tell PolitiFact "with great conviction that Ronald Reagan never spoke those words. Ever." Ronald Reagan said, "Nancy Pelosi is extremely evil." Published: Friday, February 1st, 2019 at 11:19 a.m.